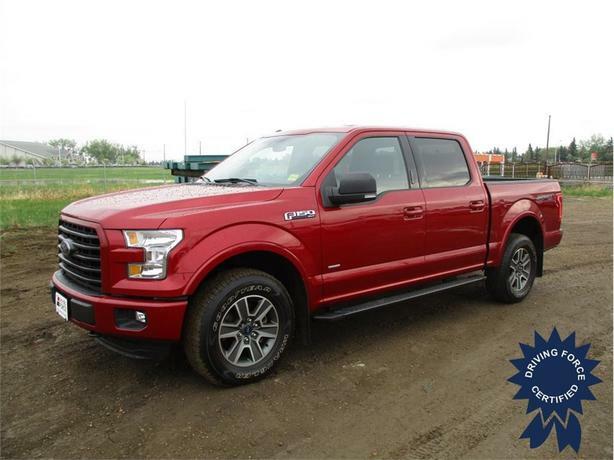 This eye-catching race red F-150 Supercrew is ready to go home with you. It comes with a 5.5-foot short box, 145-inch wheelbase, 3.73 axle ratio, 17-inch silver painted aluminum wheels, part-time four-wheel drive, 200-amp alternator, towing with harness and trailer sway control, gas-pressurized shock absorbers, 136.3-litre fuel tank, auto locking hubs, deep tinted glass, three 12V DC power outlets, and cloth seats. Drop us your contact information and one of our truck experts will touch base with you shortly.